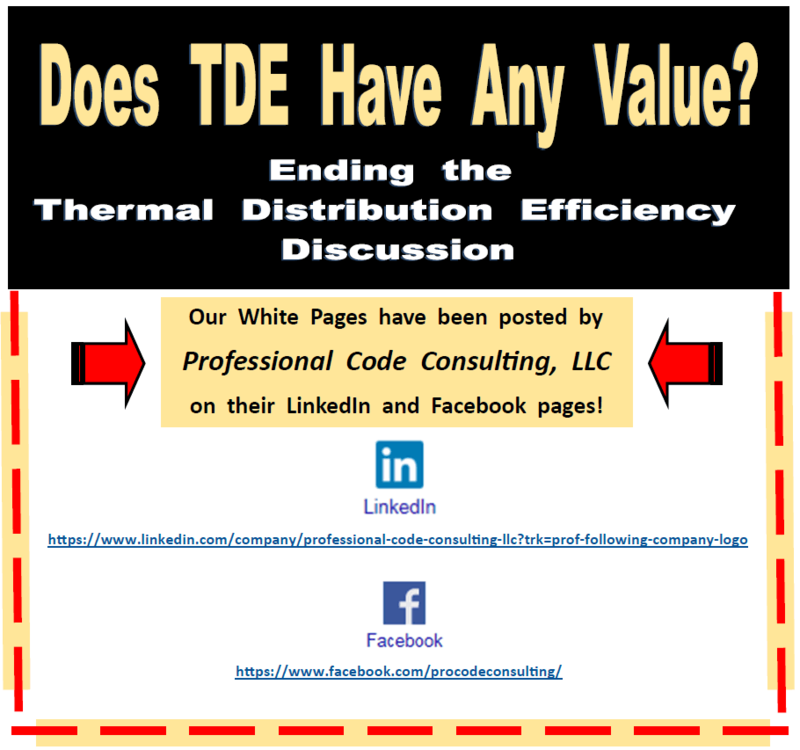 After months of work reviewing possible changes, the ICC-ES has finally decided that there is in fact a difference between an R-value (as tested and determined by ASTM C518) and a thermal distribution efficiency or “TDE” rating (as estimated by NSF P374). The updated LC1014 can be found here http://www.icc-es-pmg.org/Criteria/Approved/PDF/LC1014.pdf. By ICC making this differentiation in the listing criteria, and making it known that these are not the same, no longer can a product carry an ICC listing showing an R-value without having preformed ASTM C518 testing. What does this mean? It means that any customer, designer, or engineer who wants/needs a third party listed underground product with a specific R-value should no long-er consider AQC’s Blue Duct. It is important to note that, while Blue Duct does currently carry an ICC-ES listing, their listing does not show conformance or compliance with the needed testing. Per the new listing criteria, ASTM C518 results are required in order to have an approved and recognized R-value. Blue Duct simply has a TDE rating and some confusing verbiage, which is not the same. If you would like more details or if you would like to know how this might impact your team and your territory specifically, please feel free to contact the Spunstrand sales office or feel free to contact me directly. 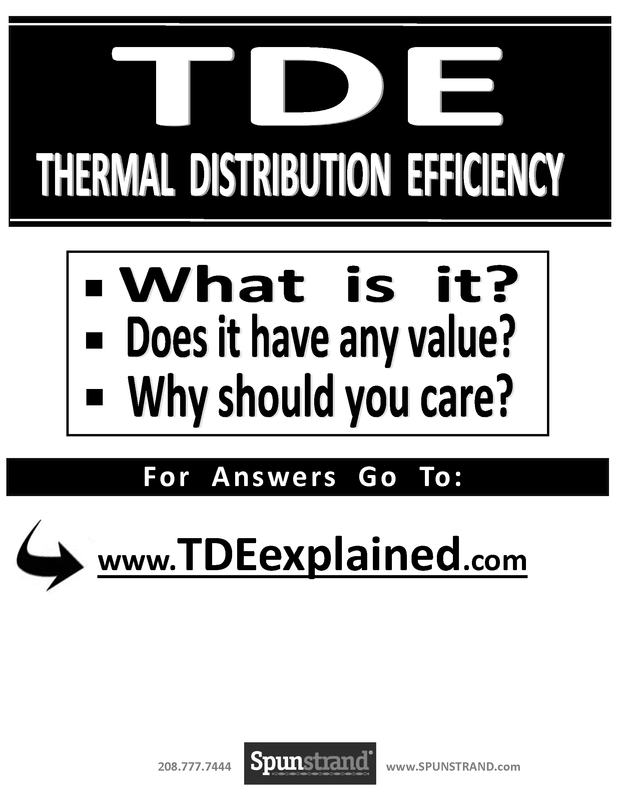 Also, as it can sometimes be considered a conflict of interest to get information and clarifi-cations from a competing manufacturer (although we do our best to remove bias and only deal with fact) if you, your customers, a local building/code inspector, or any of your engineers would like an outside explanation of the difference between a TDE and an R-value or how it pertains to either ours or Blue Duct’s ICC-ES listing please reach out to ICC-ES directly.